How did human minds become so different from those of other animals? What accounts for our capacity to understand the way the physical world works, to think ourselves into the minds of others, to gossip, read, tell stories about the past, and imagine the future? These questions are not new: they have been debated by philosophers, psychologists, anthropologists, evolutionists, and neurobiologists over the course of centuries. One explanation widely accepted today is that humans have special cognitive instincts. Unlike other living animal species, we are born with complicated mechanisms for reasoning about causation, reading the minds of others, copying behaviors, and using language. 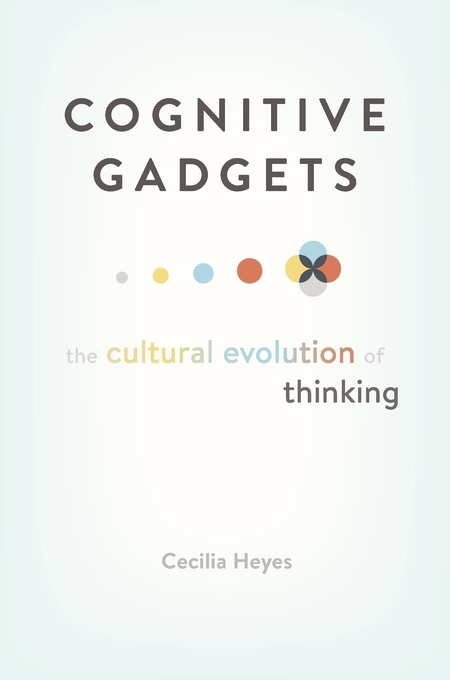 Cecilia Heyes agrees that adult humans have impressive pieces of cognitive equipment. In her framing, however, these cognitive gadgets are not instincts programmed in the genes but are constructed in the course of childhood through social interaction. 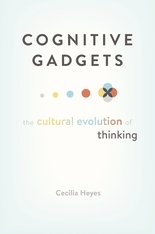 Cognitive gadgets are products of cultural evolution, rather than genetic evolution. At birth, the minds of human babies are only subtly different from the minds of newborn chimpanzees. We are friendlier, our attention is drawn to different things, and we have a capacity to learn and remember that outstrips the abilities of newborn chimpanzees. Yet when these subtle differences are exposed to culture-soaked human environments, they have enormous effects. They enable us to upload distinctively human ways of thinking from the social world around us. As Cognitive Gadgets makes clear, from birth our malleable human minds can learn through culture not only what to think but how to think it.